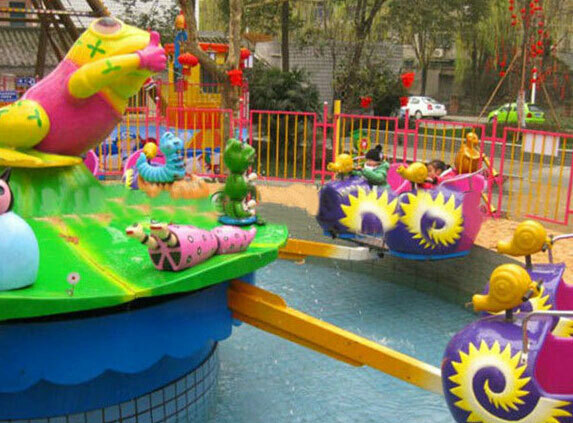 Twelve snails revolve and spray, attacking the island conquered by the frogs with water guns. Do you think they will win? 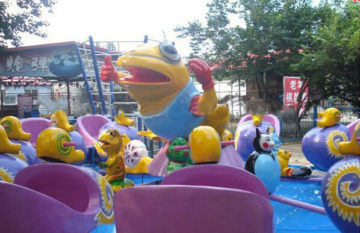 This amusement park ride is popular in summer. Kids love the bright colors and vivid designs. They rotate and laugh and spray the water at the meantime. 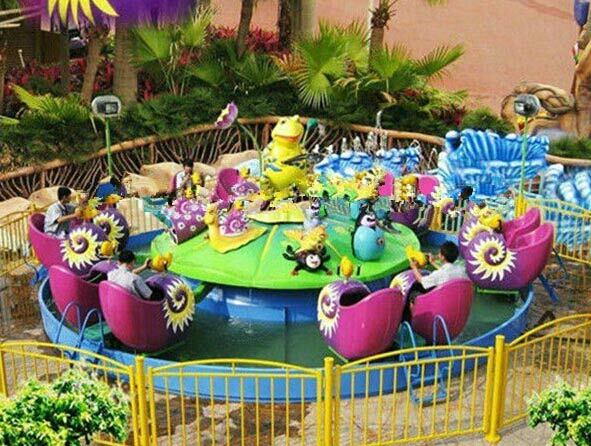 This island is not occupied by the snails, instead it is occupied by the kids and their laughers. 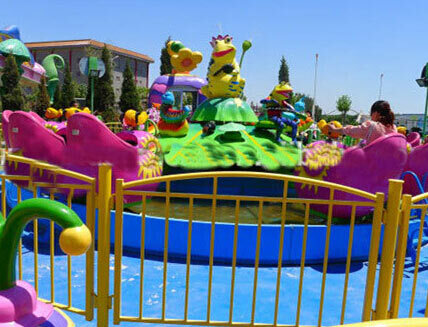 The sprays and water guns make the ride suitable for both amusement parks and water parks. One of the best-seller and kids favorites, it enables you get the investment in the shortest time! 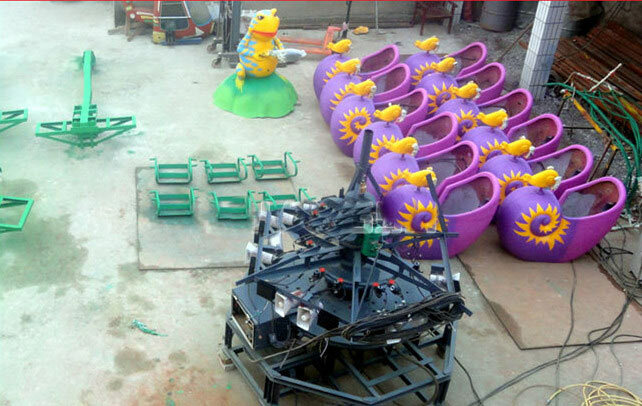 Fun Fair Game equipment is groundless mobile devices, suitable for shopping malls, plazas and parks, because snail attack force footprint small and has 12 cabin in 6 big arms,so it can accommodate 12 adults at the same playing, but in the same time, above each snail shell cockpit there is a spray gun can fetch water snails,it is the first choice of the small amusement rides device.